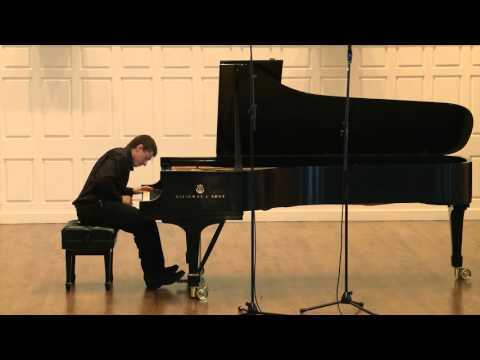 Applauded by MusicWeb International for his “splendid playing…great skill and technical prowess,” pianist Dominic Cheli is First Prize winner of the 2017 Concert Artists Guild Competition. Earlier in 2017, Naxos released his debut CD, and he won the Music Academy of the West Concerto Competition, leading to a critically acclaimed performance of Prokofiev’s Piano Concerto No. 2 with the Festival Orchestra. His rapidly advancing career includes his European concerto debut in Germany, as well as debut appearances at the Ravinia and Mostly Mozart Festivals in summer 2018. Highlights of Dominic’s 2018-19 season include his New York recital debut at Weill Recital Hall at Carnegie Hall on the CAG New York series, and his Disney Hall concerto debut in Los Angeles with the Colburn Orchestra, led by Valery Gergiev. Additional featured concerto engagements include the Columbus Symphony and the Princeton Symphony, both under the baton of Rossen Milanov. A native of St. Louis, Dominic has been praised for playing with “insight and tenderness” and “touch [that] was resonant and rich” (The Heartland Journal). Highlights of his 2017-18 season include a performance of Rachmaninoff’s 2nd Piano Concerto with the Northwestern German Philharmonic, as well as recitals at Steinway Hall in Beverly Hills and the Colburn School in Los Angeles. His busy spring 2018 schedule included a return to the Virginia Arts Festival for a special concert celebrating his teacher and mentor André–Michel Schub—including their collaboration on Mozart’s Concerto for Two Pianos, K.365, and also the Concerto for Three Pianos, K.242 (“Lodron”) with pianist/conductor Arthur Fagen and the Virginia Symphony. 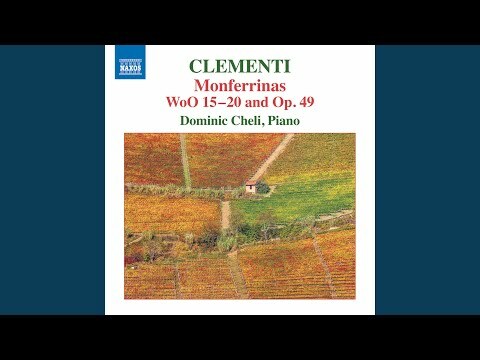 His debut CD for the Naxos label (July 2017) features the music of Muzio Clementi, and has been very favorably reviewed: “Cheli…performs his Clementi with flair and distinction.” (American Record Guide). Dominic also recently recorded a performance on WQXR’s long-running McGraw Hill Young Artists Showcase program with host Bob Sherman, and he has appeared on the National Public radio program, From the Top. Among the many notable venues at which Dominic has performed are Carnegie Hall, Merkin Concert Hall, the Granada Theatre of Santa Barbara and the Sheldon Concert Hall of St. Louis. Also in his hometown, he recently performed Beethoven’s Fourth Piano Concerto with the Metropolitan Orchestra of St. Louis. Committed to sharing his passion for music with younger audiences, Dominic was recently invited to perform on the concert series “Baby Got Bach,” by pianist and Artistic Director Orli Shaham. 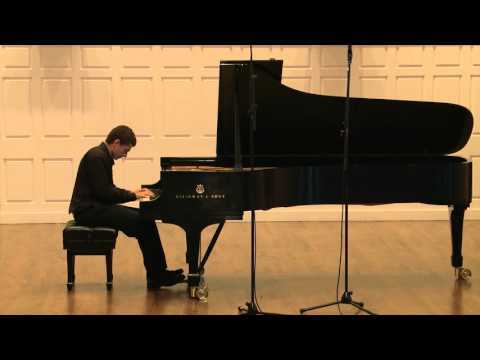 Dominic Cheli began his musical training in St. Louis, and he is currently pursuing an Artist Diploma at the Colburn Conservatory of Music in Los Angeles, California, studying with Fabio Bidini. He earned his Master of Music degree from Yale University and Bachelor’s degree from the Manhattan School of Music. Past teachers include Zena Ilyashov, Peter Frankl, André-Michel Schub and Sylvia Rosenberg.